I taught third grade for eight years, and one of my favorite units was our study of family history in connection to a unit on immigration (mainly focused on European immigration through Ellis Island). This was a powerful way for my students to see how they and their classmates connected to the wider world and to celebrate all the amazing differences that make us who we are. In light of all that is happening in the world and in our country right now, I thought it was important to share what we did and to support other teachers in getting kids to break down barriers and embrace differences. I previously shared some of my findings in a roundtable talk at NCTE in 2015 entitled “Reading Another Culture: teaching diversity without reinforcing stereotypes.” You can download my original slides, handouts, and extensive diverse book list here. In this post, I want to talk more about the specifics for doing a family history study. We did two main biographical activities: a Getting to Know You blog post and a genealogical study. The questions for the blog post were geared towards sharing about our family and cultural backgrounds, such as favorite foods, languages spoken, members of your family, etc. (You can download a copy of the questionnaire here.) This activity generated a lot of conversation about the things we have in common and the things that are different about us, but all in very positive terms. The day we shared about our genealogy packets opened with a two-step activity. When students entered the room, they received small circles for as many countries as they had ancestors or connections. They wrote their name on each circle and decorated it. (For my demo circles, I decorated them using the flag of the country, so many followed that approach.) 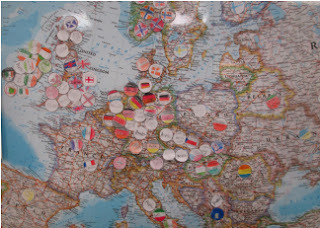 Then we added all the circles to a large world map on the wall - the photo below shows one section. We finished by each sharing about our own findings about our family histories or the meanings of our names. In my last class of third graders we had 30 students who hailed from 36 different countries on 6 continents and who spoke 9 different languages at home! A final element of our family history study actually took place all year in our classroom. In third grade, our social studies curriculum was a study of world geography and world cultures, so we spent a few months on each of the inhabited continents. 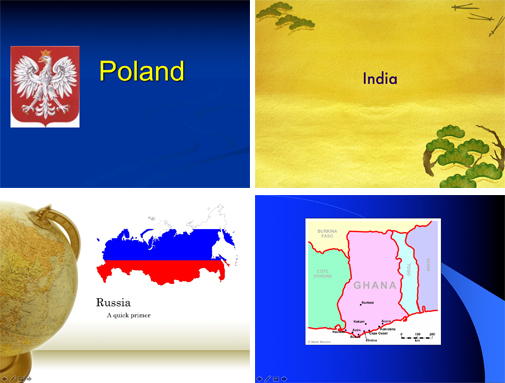 At the beginning of the school year I sent an open invitation to parents to come in and present to the class about a country they had lived in or had a personal connection to, and every year the response was overwhelming. Kids love visitors and presentations (and asking lots of sometimes off-topic questions, if your class is anything like mine). Most parents put together a short PowerPoint presentation about the country and often brought it artifacts or a food to share. Music or dance videos were also popular, though nothing beats photographs of your classmate visiting another place - especially if it was a few years ago! In my last year of teaching third grade, we Skyped with a student’s uncle in Cairo, traveled to the Galapagos on a boat trip, learned about a great-great grandfather’s journey from Norway to the US as documented in the family Bible, visited a Mongolian yurt, saw news clippings about a grandparent who worked for the Shah of Iran, and much more. You may be amazed by the wealth of experiences and connections available within your school community. Books are another great way to invite the world into your classroom. I have previously put together several different book sets that deal with family history and immigration issues. 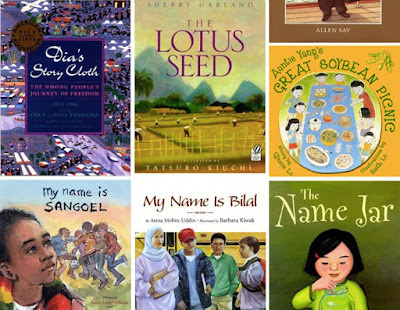 Please consider reading and sharing these wonderful books with your students! 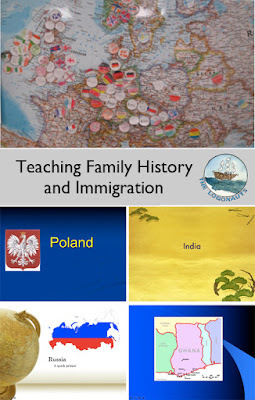 Do you teach family history or immigration units with your students? What other resources or suggestions do you have for teachers? (I'll be adding some additional posts soon about other extension activities - and what I'm doing now with my seventh graders.) Click on the "Teaching" tag for more lesson plan ideas.